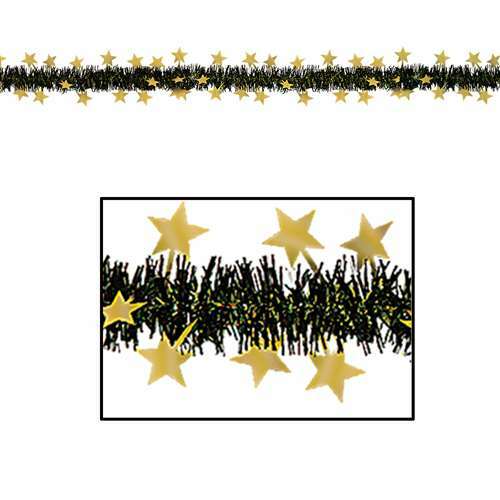 Add some sparkle to you party with the Black and Gold Metallic Star Garland. This garland can be used to decorate all around the house. Use it to decorate a stair case, doorway, ceiling and more. This garland is perfect for any themed events but especially Hollywood, or Movie themed parties. 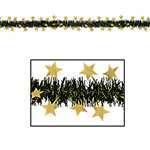 Each Package Includes one Black and Gold Metallic Star Garland (12 feet long).